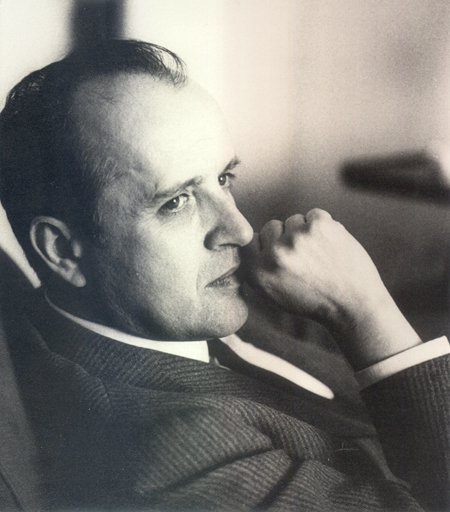 Nino Rota was born into a musical family. Among other distinguished relatives, his Grandfather Giovanni Rinaldi was a famous pianist, and Nino used the name Nino Rinaldi with his grandfather's surname during his youth. Nino was a child prodigy and started composing at the age of 8. He studied at a number of places, including the Milan Conservatory and in Rome at the Santa Cecilia Conservatory. At the age of 20 he lived for a few years in the US and studied at the Curtis Institute of Music in Philadelphia. Following on from his early compositions he went on to compose for the stage, ballet and opera as well as numerous concert works. It is his film music that is best remembered (in part because of its more frequent performance), and this reached its peak with his extended artistic partnership with Italian film director Frederico Fellini, scoring many of his best-known films such as "La Strada", "La Dolce Vita", "The Clowns", "Roma" and "Casanova". He also worked at times with Visconti (on "The Leopard") and did the scores for Franco Zeffirelli's "The Taming of the Shrew" and "Romeo and Juliet". The latter film features the famous love theme, made familiar through its use on UK radio. In a similar context, it is worth noting that Fellini featured circuses in a number of his films ("La Strada", "8 and 1/2", "Juliet of the Spirits" and of course the documentary "The Clowns"). This is not as extreme as a fixation, but simply a way of saying that "life is a circus" in a gently ironic way. Certainly this allowed Rota to use different examples of circus-like themes, which mfiles believes may have been the main inspiration for Danny Elfman's early style and his "Big Top Pee-Wee" in particular. Circus music is full of movement and Rota converted his music for "La Strada" into a 12-scene ballet based on the film's story of a young girl sold to a cruel travelling entertainer. Rota's music was not all fun and games. Among several film adaptations of Shakespeare's plays, he scored "The Taming of the Shrew", "Romeo and Juliet" and "A Midsummer Night's Dream". Rota's Italian origin also made him the ideal choice for Francis Ford Coppola on the Godfather series. For this, Rota toned down the humour but still managed to retain an element of absurd whimsy amongst the macabre set pieces and dark tragedy. The later films in the series introduced compositions by the director's composer father Carmine Coppola, who also worked with his son to striking effect on "Apocalypse Now". The third Godfather film was made well after Rota's death, but still referred to his themes. Rota also devoted much of his energy to teaching music. He settled in the city of Bari on Italy's Adiatic coast above the "heel". Rota taught at the Bari Conservatory, and became a director and something of a "godfather" to the many students who studied music there. Although best known for his film music Rota also composed for the concert hall, many of his pieces having thematic or stylistic connections to his film music. He wrote a Ballet and Concert Suite based on his music to "La Strada" and a suite of dances taken from the film "Il Gattopardo" (The Leopard). His "Concerto Soirée" is a Piano Concerto/Suite which also seems to be based on dance music. See this BBC News item about the re-release of Visconti's "The Leopard" and with a focus on Rota's music. La Strada - some of this music, including the circus themes, were incorporated by Rota into a ballet called "La Strada"
Romeo and Juliet (the Franco Zeffirelli version of Shakespeare's play) - from Amazon.co.uk or Amazon.com. The Godfather Trilogy (music by Rota and Carmine Coppola) - from Amazon.co.uk or Amazon.com.